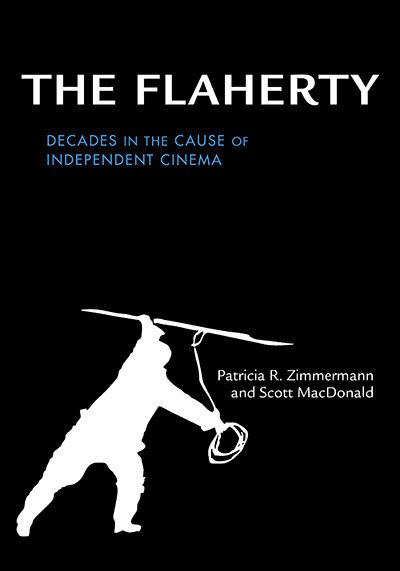 Moving through the decades, each chapter opens with a detailed history of the organization by Zimmermann, who traces the evolution of The Flaherty from a private gathering of filmmakers to a small annual convening, to today’s ever-growing nexus of filmmakers, scholars, librarians, producers, funders, distributors, and others associated with international independent cinema. MacDonald expands each chapter by giving voice to the major figures in the evolution of independent media through transcriptions of key discussions galvanized by films shown at The Flaherty. The discussions feature Frances Flaherty, Robert Gardner, Fred Wiseman, Willard Van Dyke, Jim McBride, Michael Snow, Hollis Frampton, Erik Barnouw, Barbara Kopple, Ed Pincus, Trinh T. Minh-ha, Bruce Conner, Peter Watkins, Su Friedrich, Marlon Riggs, William Greaves, Ken Jacobs, Kazuo Hara, Mani Kaul, Craig Baldwin, Bahman Ghobadi, Eyal Sivan, and many others. Patricia R. Zimmermann is Professor of Screen Studies at Ithaca College. She is the author of Reel Families: A Social History of Amateur Film (IUP, 1995) and Open Spaces: Openings, Closings, and Thresholds of International Public Media, among many other titles. Scott MacDonald is Professor of Art History at Hamilton College. He is author of many books including, most recently, Avant-Doc: Intersections of Documentary and Avant-Garde Cinema and Binghamton Babylon: Voices from the Cinema Department (a nonfiction novel).